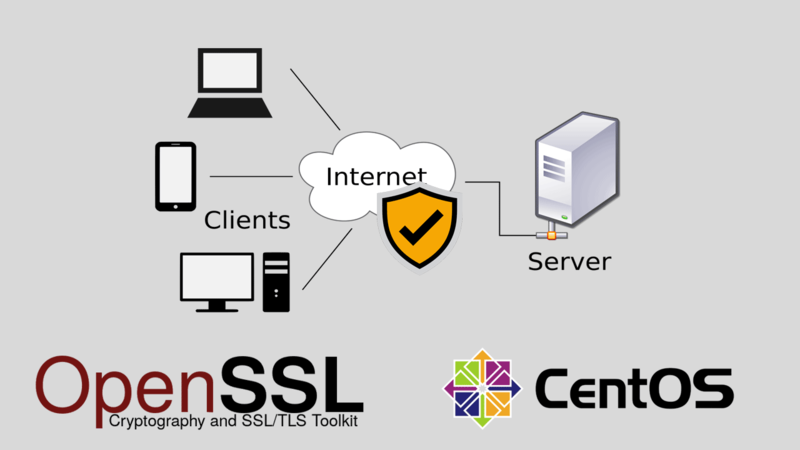 In this tutorial we will learn how to Generate Self-signed SSL/TLS certificate in CentOS 7. We began by the creating Self signed certificate using the OpenSSL command and we then proceeded to configure Apache HTTPD web server to apply the SSL/TLS certificate. Note that, the mod_ssl package will automatically enable HTTPS for the default web site which you can find under the /var/www/html folder. The default SSL configuration file is /etc/httpd/conf.d/ssl.conf. Generate a new SSL/TLS (signed) certificate with OpenSSL command. Configure a virtual host to use HTTPS, using the Self-signed certificates. Once you run the openssl command, You'll be prompted to enter information for generating the certificate. You leave answer blank to these questions except for the Common Name. The Common Name value should reflect the domain name of your website. For example, if you want to use this certificate on www.example.com then the Common Name should be www.example.com, if you want to create a wildcard certificate that can apply to all subdomains, then use *.example.com. Private Key: The private key, example.com.key will be saved to the /etc/pki/tls/private/ directory (You should not share the private key with anyone). Certificate: The example.com.crt will be saved to the /etc/pki/tls/certs/ directory (This is the signed certificate). You should create a new virtual host configuration file (e.g. example.com-ssl.conf) under the /etc/httpd/conf.d directory. Generating Self-signed certificate is the easiest way to add TLS encryption to your website. A self-signed certificate is good for tests and internal use. For public access, however, use a certificate from a well-known CA. Letsencrypt is such a Certificate Authority and you can get a free SSL certificate for your website using the Let's Encrypt.